League of Nations Conference, Geneva, Switzerland, September 1923. The League of Nations was an international organization that existed between 1920 and 1946. Headquartered in Geneva, Switzerland, the League of Nations vowed to promote international cooperation and preserve global peace. The League achieved some success, but it ultimately was unable to prevent the even deadlier World War II. 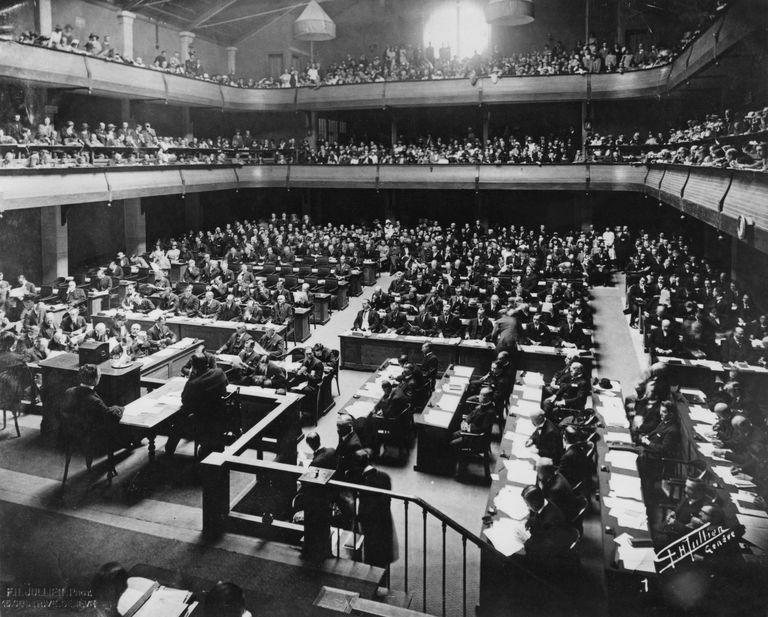 The League of Nations was the predecessor to today's more effective United Nations. World War I (1914-1918) had caused the deaths of at least 10 million soldiers and millions of civilians. The Allied victors of the war wanted to form an international organization that would prevent another horrific war. American President Woodrow Wilson was especially instrumental in formulating and advocating the idea of a "League of Nations". The League arbitrated disputes between member countries in order to peacefully preserve sovereignty and territorial rights. The League encouraged countries to reduce their amount of military weapons. Any country that resorted to war would be subject to economic sanctions such as a halt to trade. The League of Nations was founded in 1920 by forty-two countries. At its height in 1934 and 1935, the League had 58 member countries. The member countries of the League of Nations spanned the globe and included most of Southeast Asia, Europe, and South America. At the time of the League of Nations, nearly all of Africa consisted of colonies of Western powers. The United States never joined the League of Nations because the largely isolationist Senate refused to ratify the League's charter. The official languages of the League were English, French, and Spanish. The League of Nations was administrated by three main bodies. The Assembly, composed of representatives from all member countries, met annually and discussed the priorities and budget of the organization. 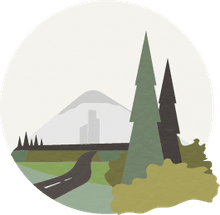 The Council was composed of four permanent members (Great Britain, France, Italy, and Japan) and several non-permanent members who were elected by the permanent members every three years. The Secretariat, led by a Secretary-General, monitored many of the humanitarian agencies described below. The League of Nations was successful in preventing several small wars. The League negotiated settlements to territorial disputes between Sweden and Finland, Poland and Lithuania, and Greece and Bulgaria. The League of Nations also successfully administered the former colonies of Germany and the Ottoman Empire, including Syria, Nauru, and Togoland, until they were ready for independence. The League of Nations was one of the world's first humanitarian organizations. The League created and directed several agencies that were meant to improve the living conditions of the world's people. promoted culture preservation and scientific advancement (precursor to today's UNESCO). The Axis countries (Germany, Italy, and Japan) withdrew from the League because they refused to comply with the League's order to not militarize. The members of the League of Nations knew that many changes within the organization had to occur after World War II. The League of Nations was disbanded in 1946. An improved international organization, the United Nations, was carefully discussed and formed, based on many of the political and social goals of the League of Nations. The League of Nations had the diplomatic, compassionate goal of generating permanent international stability, but the organization was unable to avert conflicts which would ultimately change human history. Thankfully the world's leaders realized the League's shortcomings and reinforced its objectives in the modern-day successful United Nations.